This delta USA 19V 2.15A ADP-40TH A Adapter Charger for Acer Aspire One D255E D257 532H A110 EMACHINES EM350 AC Adapter can give clean, smooth, safe power for your machine. Note: This adapter can be used with four style power plug, We have UK, EU, US,AU 4 styles DELTA 19V 2.15A Shaver adapter in stock now, Please choose the right stly you need! 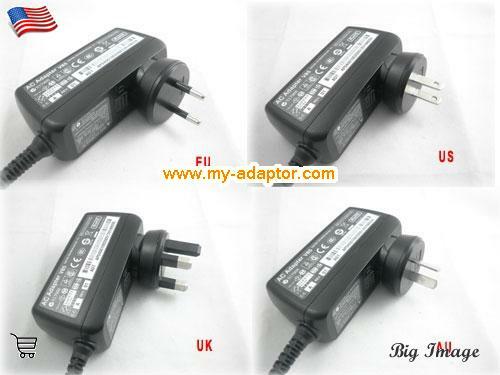 This USA 19V 2.15A ADP-40TH A Adapter Charger for Acer Aspire One D255E D257 532H A110 EMACHINES EM350 with many safe and quality certification mark. This genuine USA 19V 2.15A ADP-40TH A Adapter Charger for Acer Aspire One D255E D257 532H A110 EMACHINES EM350 AC Adapter can give clean, smooth, safe power for your machine. This USA 19V 2.15A ADP-40TH A Adapter Charger for Acer Aspire One D255E D257 532H A110 EMACHINES EM350 laptop ac adapter have short circuit protection. This genuine USA 19V 2.15A ADP-40TH A Adapter Charger for Acer Aspire One D255E D257 532H A110 EMACHINES EM350 ac adapter have Overheat protection circuit which is very inportant for safe. 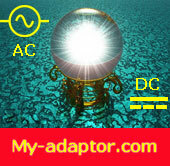 This USA 19V 2.15A ADP-40TH A Adapter Charger for Acer Aspire One D255E D257 532H A110 EMACHINES EM350 adapter have a very good heat dispersion, it will not became hot after working for a long time. ASPIRE ONE AO532H-2298, ASPIRE ONE AO532H-2309, Acer ASPIRE ONE AO532H-2326, ASPIRE ONE AO532H-2382, Acer ASPIRE ONE AO532H-2406, ASPIRE ONE AO532H-2527, Acer ASPIRE ONE AO532H-2575, ASPIRE ONE AO532H-2588, Acer ASPIRE ONE AO532H-2730, ASPIRE ONE AO532H-2964, Acer ASPIRE ONE AO532H-2DB, ASPIRE ONE AO532H-2DR, Acer ASPIRE ONE 532H-21B, ASPIRE ONE AO532H-2DS, Acer ASPIRE ONE 532H-21R, D255E, Acer ASPIRE ONE 532H-21S, ASPIRE A110, Acer ASPIRE ONE 532H-2223, ASPIRE D257, Acer ASPIRE ONE 532H-2226, ASPIRE D260, Acer ASPIRE ONE 532H-2730, ASPIRE D255E, Acer ASPIRE ONE 532H-2964, ASPIRE ONE 532H-2DB, Acer ASPIRE ONE 532H-2DR, ASPIRE ONE 532H-2DS, Acer ASPIRE ONE AO532H-2067, ASPIRE ONE AO532H-2068, Acer ASPIRE ONE AO532H-21B, ASPIRE ONE AO532H-21R, Acer ASPIRE ONE AO532H-21S, ASPIRE ONE AO532H-2206, Acer ASPIRE ONE AO532H-2223, ASPIRE ONE AO532H-2226, Acer ASPIRE ONE AO532H-2268, ASPIRE ONE AO532H-2288, .